I have to admit, I'm a little biased about this title. I heard Stephan Bauman speak a few years ago at the Justice Conference in Portland, Oregon. He was being interviewed by none other than Lynne Hybels, who is as famous in her own right as her famous husband, Bill Hybels, is. I was struck by his gentleness, modesty, and empathy, especially given that he's the CEO of World Relief, the humanitarian arm of the National Association of Evangelicals. When I got the opportunity to review his new book Possible: A Blueprint for Changing How We Change the World, I jumped at the chance. Stephan Bauman takes the reader on a journey from the personal to the global and back again. He tackles the problem of suffering the harm Christians have cause around the world, juxtaposing them with an astute and subtle treatment of personal calling. He emphasizes the importance of allowing people in the global South (read: impoverished countries) to solve their own problems, and to seek their help as well as to offer it. Bauman uses plenty of anecdotes, both from his personal life and from those of the people he has served alongside. The result is a compilation of ideas that seem particularly relevant. Bauman blends the spiritual and ideal worlds with the practical, a rare and refreshing feat. He is unabashed in his discussion of the need for God when doing good work in the world, but he also offers space for people's particular gifts and interests. Bauman is keenly aware of how easy it is for Christians — or anyone else — to do more harm than good with their "help." To think properly about poverty, we need to consider the poor as wealthy too. Materially poor people around the world demonstrate vibrancy, human strength, perseverance, ingenuity, joy, and unprecedented faith. I've noticed that their dire circumstances and their "wealth" often correlate. For example, their virtue, character, and faith are shaped through suffering and trial. We have to learn from these brothers and sisters. He includes two appendices: one that allows people and groups to evaluate their beliefs and values in light of their actions; and another that helps groups work from an asset-based development framework for making change in their communities and beyond. While the book is full of stories, Bauman also quotes extensively from a wide variety of sources, Dallas Willard, Mother Teresa, and Jürgen Moltmänn among them. The book's greatest strength, I believe, is that Bauman helps people start where they are. From the beginning of the book, he connects with people who want to help but don't know what to do. And then he tells about his own failures in a way that never seems self-indulgent or like humble bragging. This is a book for Christians. It makes no attempt to reach out to any other audience, but any reader who doesn't want to read a Christian book should pass this by. Bauman often reverts to clichés and too-familiar imagery. The transformation of the butterfly gets a suggestion and continual references. It's not tired, exactly, but it's not new, either. Most of the information in this book isn't new. The Christian Community Development Association, for example, has been doing asset-based community development for a couple of decades. And there is plenty of Christian literature available on finding your calling. What is different is the compilation and Bauman's voice, which is encouraging without being too perky. I was predisposed to like Possible, but I also had worries it wouldn't offer anything new or would only be relevant to evangelicals. (I'm a mainline Protestant myself.) My worries were unfounded. Stephan Bauman makes me believe that I can have a role in changing the world, one where I neither do more harm than good, nor am I the hero of the story. Instead, I can point to heroes already present in communities of need and offer respect and solidarity. He reminds me that throwing money at problems isn't the way to solve them. Healing broken relationships is. There's nothing easy about Stephan Bauman's hope for a broken world, but that's what makes this book ring true. I expect it to change the way I think about my role in the world, and I'm sharing it with my church in hopes it will spark of revolution of sorts. Full disclosure: I received a review copy of Possible from Blogging for Books. I wasn't required to write a positive review, and I wouldn't take a book if I was. 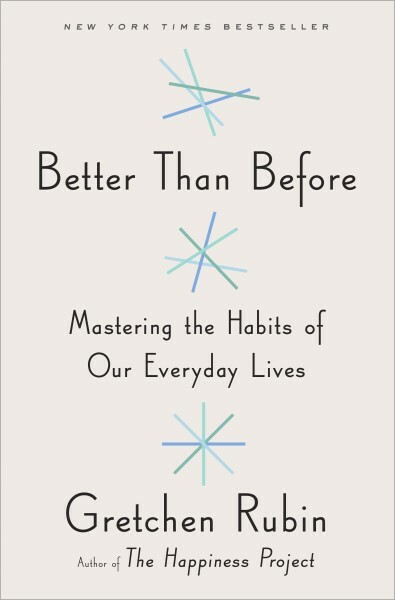 Rubin declares herself surprised to understand that not all people enjoy forming habits the way she does, so she sets out, mostly through trial and error on herself, friends, family, and occasionally strangers, to determine what helps and inhibits people when they attempt to create a habit. She divides people into four main categories — Upholders (like herself), Obligers, Questioners, and Rebels. She then takes the reader through tips for easier habit formation, as well as pitfalls to avoid. Rubin offers good, practical advice — things like making good habits convenient for yourself and bad ones inconvenient. She doesn't accept excuses. If you happen to know her (I don't), you would be better off not mentioning something you'd like to change unless you're prepared to actually make changes. She will call your bluff. This is what many of us need to hear. If you resist forming habits, Rubin will give you some tools for why, though her advice for some of her categories of people is decidedly better than for others. If you already like creating new habits, this book will give you even more strategies for doing so. Rubin uses lots of personal stories in the book, and if you find her relatable, you will love that. Though Rubin clearly has the capacity to do scientific research — she was a clerk for the Supreme Court — she chooses to make her points with anecdotal evidence and research she has done from social media. For the most part, she leaves out discussion of genetic predispositions, what addiction can do to the brain, and other hard science. Rubin admits that she likes forming habits and has an easy time of it. This can leave the reader feeling a bit like a student in a class with a genius teacher who simply doesn't understand why they can't get advanced calculus. Her tone can sometimes seem downright bullying. You may put the book down feeling sorry for the friends and family who have benefited from Rubin's "help." She admits that she can be too pushy, and many of her anecdotes are uncomfortably candid about other people's shortcomings. At the same time, Rubin's only vices seem to be drinking too much diet soda, which she doesn't believe is a vice, and giving up on meditation. While Rubin says she wants people to form their own habits, she spends a disproportionate amount of time touting her own, in particular a low carbohydrate diet. This seems outside her scope of expertise, but she has no problem promoting it. If I wanted to hire someone to push me to put aside excuses and form habits, I would consider Gretchen Rubin (not that she does this work). But I would rather find a more measured, scientific approach to habit formation, one that relies on broad and deep studies rather than Rubin's "data point of one." Full disclosure: I received an advance reader edition of Better Than Before from the publisher. I was not required to write a positive review. These are my opinions. First off, you should know that I'm not Catholic. I'm rather decidedly a Protestant. But like lots of folks, religious and not, I'm intrigued by Pope Francis. I wanted to read The Joy of the Gospel for no other reason than to hear his take on evangelism and the world. The book is an apostolic exhortation from the leader of the Catholic Church to clergy and laity. In it, he tackles the position of the church in the world, the crises it faces, and the hope it offers. While the pope is addressing Catholics primarily, he quickly casts a wide net. On the first page of text, he implores "all Christians, everywhere, to a renewed personal encounter with Jesus Christ ..."
For any mainline Protestants, Francis' take on the problems facing the church will sound tragically familiar. But Francis is hopeful and articulate. He displays his knowledge of the world as well as the church, and he offers a vision of what the church could bring to the world. The book is pastoral in tone and obviously comes from the heart of a man who knows the struggles of the parish priest as well as the politics of the Vatican. He is the strongest of advocates for the poor, not just as recipients of charity, but as being included in decision-making and in receiving the benefits of redistribution of wealth. For the most part, he offers solutions to the problems of declining church attendance and the perception that religious people are out of touch. He takes on tasks from the creation of a homily (sermon, for us Protestants) to the creating of a just and peaceful society. Many of us try to escape from others and take refuge in the comfort of their privacy or in a small circle of close friends, renouncing the realms of the social aspect of the Gospel. For just as some people want a purely spiritual Christ, without flesh and without the cross, they also want their interpersonal relationships provided by sophisticated equipment, by screens and systems which can be turned on and off on command. Meanwhile, the Gospel tell us constantly to run the risk of face-to-face encounter with others, with their physical presence which challenges us, with their pain and their pleas, with their joy which infects us in our close and continuous interaction. ... The Son of God, by becoming flesh, summoned us to the revolution of tenderness. The pope doesn't avoid the hard questions — from the role of women in the church and its pro-life stance to relationships with other religions. This is a meaty book. The book is decidedly Catholic. It quotes extensively from the Catholic tradition as well as from Scripture. This shouldn't come as a surprise, but it should be noted. The arguments about the role of women are the least compelling section of the book. While Francis argues that women should be involved in decision-making in the church, he says "the reservation of the priesthood to males ... is not a question open to discussion ..."
The book is full of church jargon. Francis usually defines his terms, but without a theological education behind you, certain sections of the book may be a challenge. There is a subsection titled "Kerygmatic and mystagogical catechesis," for example. Most of the book is accessible, but there are exceptions. This is a book for the faithful, which should be obvious from the title. While a reader interested in the positions of the Catholic church may find it interesting, other sources would likely be more appealing to the non-religious. I found The Joy of the Gospel refreshing and relevant. It is a beautiful picture of what the church could be in the world — a voice for the poor, an authority in the face of violence, a transforming influence in the darkness of addictions, isolation, and fear. It is both practical and theoretical, encouraging and a swift kick where it's most needed. If you find yourself frustrated or discouraged with the state of the church — Protestant or Catholic — you will find hope and solutions in this short but weighty book. Full disclosure: I received a review copy of The Joy of the Gospel from Blogging for Books. I wasn't required to give a positive review. These are my honest opinions. Prolific Christian author Max Lucado and his wife, Denalyn, have undertaken no small task in compiling the Lucado Treasury of Bedtime Prayers. The hardcover book, illustrated by Lisa Alderson and published by Thomas Nelson, retails for $19.99. In addition to prayers by the Lucados, the book is a compilation of prayers, hymn lyrics, and Scriptures. Despite the title, there are chapters devoted to morning prayers, prayers for family and friends, prayers of praise and thankfulness, mealtime prayers, holiday prayers, and more. Most of the prayers included are classics, from the prayer of St. Francis of Assisi to "Away in a Manger." You are unlikely to find such a comprehensive collection, and one very nicely compiled, elsewhere. The illustrations of woodland animals are charming and engaging. The Lucados have included an introduction for parents that is particularly good, written in Max Lucado's approachable style. The prayers by Max and Denalyn Lucado feel fresh and relevant to young readers. Because most of the prayers rhyme, they're great for memorization. Most of the prayers rhyme. You'll notice I mentioned this above. Rhyming may or may not be to your liking. I find that my very young children often get lost in the rhythm and don't pay attention to what is being said. While the illustrations are lovely, they have nothing to do with the prayers on the page. My kids were asking questions about the pictures, trying to understand how they related to what I was reading. They became a distraction rather than an aid to comprehension. Give us this day our daily bread; Our table is so beautifully spread, Show us how best to save with care, Until our every loaf we share With hungry children everywhere. Father, that all be fed, Give us our daily bread. The sentiment is lovely, but the inverted language may make it lost on little ones. A little more adapting might have made it more accessible. I'm a fan, though not an avid one, of Max Lucado, so I was excited to see this book of prayers. It's a tiny bit disappointing, though. I need to wait a couple of years to see if this book will engage my little ones. At almost 3 and almost 4, they have no interest in the text of this book. And they love books, even wordy ones. My fear is that by the time they can understand what the older prayers are saying, they will have outgrown the illustrations. That would be unfortunate because the collection is quite good, and the presentation makes it keepsake worthy. I would suggest picking up a copy and showing it to the child it's intended for before you buy. Full disclosure: I received a review copy of this book from BookLook Bloggers. I wasn't required to write a positive review. These are my honest opinions. The writing was good, and I don't mean good for a Christian book. I mean really good. You'll see that it didn't go as deep or as far as I had hoped it would, but the style could be put next to any modern biography, and it would stand. Here's my full review, as it appeared originally on News for Shoppers. The rest of the links are from affiliates, and if you buy, I get a commission. No pressure. Seventy years ago today, the Rev. Dietrich Bonhoeffer was killed at Flossenbürg concentration camp by the Nazi regime for his role in a conspiracy to assassinate Adolf Hitler. In Bonhoeffer: Pastor, Martyr, Prophet, Spy, author Eric Metaxas looked at the life of Bonhoeffer over a whopping 624 pages. Enter Bonhoeffer Abridged, a 256-page version of Metaxas' controversial work from Thomas Nelson. Metaxas takes his readers from Bonhoeffer's early, privileged upbringing through his years as a pastor, a professor, and a double agent. Bonhoeffer was one of the leaders in the Confessing Church movement, which rejected the takeover of the German church by the Nazis. He was outspoken, but largely protected by the prominence of his family. His father was a leading professor of psychology in Berlin. Even abridged, Metaxas' work is sprawling. From early piano lessons to his last moments, you feel by the end of the book as if you are losing a man you would very much have liked to know. Metaxas is, quite simply, a great writer. He has an eye and ear for telling detail, and he knows when — and when not to — include primary sources to support his work. The subject is difficult, but Metaxas never lets us get too depressed as he builds the tension to the story's tragic end, despite the fact that we know it's coming. Metaxas loves his subject, and it shows. Bonhoeffer comes to us as a complex but always likable man, a portrait that seems to be echoed in the people who knew him best. The book will likely make you want to learn more about Bonhoeffer and read his writings for yourself. It's an abridgment. There are occasions where the book feels like it's dabbling in its subject rather than getting to the meat of it. Without having read the full book, it's hard to know if Metaxas delved deeper or just more broadly. Metaxas sometimes seems to like Bonhoeffer too much. This is a common problem with biographers, of course. They get so close that they can't maintain an objective voice. Bonhoeffer surely had critics during his day. It would have been interesting to know what they were saying about him. The unabridged version of this book has been widely criticized for turning Bonhoeffer into an American evangelical and for ignoring parts of Bonhoeffer's theology that Metaxas finds inconvenient or opposed to his own. It's also been criticized for some fairly serious historical inaccuracies. In the abridged version of the book, Metaxas doesn't delve deeply enough into Bonhoeffer's theology for this to seem like such a large problem. But that is a problem itself. You won't come away from Bonhoeffer Abridged feeling like you know exactly what Bonhoeffer believed or how his theology changed over the course of his life. I'm glad I read Bonhoeffer Abridged, primarily because it made me want to revisit Bonhoeffer's writings for myself and feel able to put them in their context. I also want to learn a lot more about Bonhoeffer's role in the Valkyrie conspiracy against Hitler and the conflict he undoubtedly felt in participating in it, a topic I wish Metaxas had explored further. Given the criticisms of the longer work, I'm glad I read the abridged version instead, though I'm not usually a fan of abridgments. It gave me just enough information to want to delve deeper, and with other authors. Full disclosure: I received a review copy of Bonhoeffer Abridged from BookLook Bloggers. I was not required to write a positive review. These are my honest opinions. If you're interested in more about Bonhoeffer and his own writings, check out these. Once again, if you buy, you help me keep bringing you stuff like this. The Imaginary put me back in my 7-year-old body on my father's lap in his ugly green recliner. It dawns on me now that I have no idea why he would have chosen a green recliner. He still hates green. Reminds him of the Army. But that is another story. We read all kinds of books on Saturday nights — right before we watched Happy Days and The Dukes of Hazard. Mine was a well-rounded childhood. And while I kept my eye on Dad's watch, determined not to miss my shows, I also looked forward to those sessions. In an O. Henry moment, we also read Alice in Wonderland and Through the Looking Glass. My dad only recently told me that Alice wasn't his favorite. He read it for me. It wasn't my favorite, either. You know where this is going. Anyway, Lewis and Carroll and probably others I don't recall gave me a love of the cadences of British English, the turns of phrase, even the spellings. The Imaginary is more Roald Dahl — who I don't remember reading as a child — than Lewis, but it evokes the same feeling in me. And I think it's A.F. Harrold's use of language. The Imaginary is darker, creepier. Or is it? I worry that this book might be too much for young readers, but is Mr. Bunting (spoiler, sorry) really worse than the White Witch? Is the final showdown scarier than Aslan dying (again, sorry) or the entire book The Last Battle? I'm not sure. What's the same is this: The Imaginary is a book parents and kids should read together. Like so many books. Here's my review, most of which was originally published on News for Shoppers. In The Imaginary, English author and poet A.F. Harrold and award-winning illustrator Emily Gravett take the tradition of dark, impertinent British children's literature to the intersection between the real and the imagined. The Imaginary, which is published by Bloomsbury USA Children's Books, is 224 pages. The hardcover edition retails for $16.99 but is currently available for preorder for $12.56 at Amazon.com and Barnes & Noble. The book releases Tuesday, March 3. For some reason, Amazon has the book listed for 3- to 6-year-olds. The book is inappropriate for that age group. The publisher is gearing the book for ages 8 to 12. Amanda Shuffleup is a young girl who dreams up her new friend, Rudger. Her father is dead, and her mother is the sort of person who is caring but just a little neglectful. Amanda and Rudger get into trouble, get separated, and Rudger has to find his way back to Amanda before he Fades (with a capital F). He also has to save Amanda from the villain of the story. Harrold has written a charming book, and Gravett has rendered it beautifully. The characters in the book are surprisingly complex. Amanda, the little girl gifted with an enormous imagination, is no angel. Her mother has her own troubles, and even the villain has his reasons. The writing is both fun and funny. What makes this is a standout is the depiction of the imaginary world — both how it exists on its own and how it cannot sustain itself. Harrold is continually shifting perspective in the book. We see the world mostly from Rudger's perspective, but we also get inside the head of Amanda, and those around her who can't see Rudger. It seldom dips into the sentimental, which is a feat considering the subject. It's impossible — or at least it was for me — to read the book without imagining that it will be made into a movie. So you might want to get ahead of the crowd. This is a dark book. There is death, danger, and violence. While it's not extremely graphic, Harrold doesn't hold back, and neither does Gravett. Some children may not be able handle it. And you may not want them to. Amanda isn't always nice, just like every real kid. Rudger loves her dearly, but their relationship could be perceived as abusive. That wouldn't keep me from buying this book, but it would mean talking to my kids about it. The plot isn't particularly original. This is a good versus bad story. There are few surprises, but Harrold manages to build anticipation, and for the most part, he keeps it going. I really enjoyed The Imaginary. Its quirky dark side appealed to me, as did its rejection of perfect children. I loved the world Harrold created, as well as the frequent shifts of point of view. I don't think it's for every child, and the dark parts of this book are especially creepy. I would not buy this as an ebook, however. The illustrations often span two pages, and reading it on a device just isn't the same. On mine, it took several seconds to load the illustrations, which meant getting stuck just as tension was building. Shell out the few extra bucks for the print version. Full disclosure: I read this book via Netgalley, where the publisher provided a free, temporary copy. I was not required to write a positive review. This is my honest opinion. I wanted to like From Tablet to Table. It's the kind of book I felt guaranteed to like, just from the title. I've been obsessing about how to create Christian community in a church setting where most people go because that's what you do to be a good citizen in small town America. There are a few of us in my church who believe that the Christian is lived only in community, and I hoped for some solid ideas from Leonard Sweet. That's where I was coming from as I waded through From Tablet to Table. I haven't read any of Sweet's other work, so I can't compare, but here is my review. It was originally published at News for Shoppers. In From Tablet to Table: Where Community Is Found and Identity is Formed, prolific writer Leonard Sweet encourages Christians to make the table — at home, at church, and in the world — central. The book, published by NavPress, is 196 pages and retails for $14.99 in hardcover. The book is divided into two parts. In the beginning, Sweet builds the case for the importance of eating together, from both a sociological and theological perspective. In the second section, he explores how to "set the table" at home, in the church, and in the world. Sweet's analysis is interesting and worth talking about. He proposes that most of people's disconnectedness, whether with family or church, could be solved by eating together. One of the book's strongest sections is the one dealing with the importance of family meals. Jesus broke all the dining rules of his day, introducing a whole new set of table manners. He ate on fast days. He ate with dirty hands. He ate with tax collectors. He called a sinner out of a tree and invited himself to his home for dinner. He sipped water at a well of the bucket of a woman of highly questionable reputation. He also gives some practical advice for reinstituting family meals in the midst of a busy life. If you're looking for practical ways for your church to make the move from tablet to table, — that is, from emphasis on individual scriptures to a real community of faith — Sweet doesn't offer much help. Instead of giving steps to make the transition, he tells stories that are sometimes relevant but are occasionally tangential. Sometimes the writing gets in the way of the message, either due to repetition or the stretching of metaphor too far. Sweet sometimes uses common terms, such as "table it," to mean "bring it to the table," or, more simply, "eat together." Sometimes it works; sometimes it doesn't. Judge this example, in which Sweet is talking with a pastor with differing theology, for yourself. It is, admittedly, one of the more extreme cases of Sweet's unconventional use of language, but not as uncommon in the book as you might suspect. What she [the pastor] does like is the moral teaching, the "biblical values" and "Christian worldviews" that make up a tabletized religion. "So why call yourself a 'Christian,'" I asked, "if all you do is use Christianity as a rallying cry to be good?" She responded, "You know, that's a good question." So I tabled it. I ate with her, and as we ate I fed her the hot-cross sticky-bun called Jesu Christos. Sweet offers some great ideas, and even if you don't agree with him about everything, he gives plenty to think about. Sweet is considered one of the most influential Christians today, however, and I don't think this book lives up to that reputation. I'm not as critical of writing style in nonfiction as I am in fiction, but the writing often got in the way of the ideas here. And there wasn't quite enough. I hoped this would be a useful book for my church, and it is, but only in the most conceptual way. I wanted a handbook and found a grouping of ideas. The ideas were good, but I thought he could have taken them further. Full disclosure: I received a review copy of From Tablet to Table from Tyndale Blog Network. I was not required to write a positive review. This is my honest opinion. Other folks certainly liked the book better than I did. It has high ratings at most consumer websites. If there is any writer I would want to imitate, it would be Brian Doyle. He would probably say that while that is flattering, I should be trying to write like myself, not him, and of course he would be right. But I have rarely found a writer whose work I enjoyed as much. Brian Doyle is fun — really fun — to read, but he doesn't cheat. There's nothing lazy about his writing, not even his sentences that go on and on and don't let you stop to catch a breath. I came across him when the Jefferson County Read chose his book, Mink River, for the year's book. It probably didn't hurt that he is a fellow Oregonian. I was blown away by his use of prose and the charm and quirkiness of his storytelling. When I found out he had a book of prayers, I immediately wanted it. And got it. In A Book of Uncommon Prayer: 100 Celebrations of the Miracle & Muddle of the Ordinary, author Brian Doyle lets readers in on what feels like an ongoing conversation he is having with God. The prayers are part prose poetry and part reflection. From Sorin Books, it retails for $14.95. If you have read anything by Brian Doyle and liked it, don't hesitate, just buy this one. Doyle tackles the tragic and the funny, things small and close and large and far away, with titles for his about-a-page-long prayers like "Prayer for the Boys I Used to Coach When They Were Little Unlike Now" and "Desperate Prayer for Patience with Politicians with Excellent Suits and Shoes and Meticulous Hair and Gobs of Television Makeup Who have Utterly Forgotten That Their Jobs Are Finally About Feeding and Clothing and Protecting and Schooling Children." Inside these prayers is a look at their author — his passions and frustrations and failures. Mostly you will see his generosity of spirit, his thankfulness for even those things that annoy him, and his wonder at the world. With a little effort, you may start to be more generous and thankful and curious yourself. It is also a glimpse of the way Doyle sees God. He closes a prayer for Osama bin Laden, whom he calls a "stupid murderous slime," by saying, "I pray that I am right and there is a Forgiveness bigger than any slime and that somehow in ways I do not understand but believe in with awe and not a little fear that You have found a chamber in Your heart for even him. Even him." Doyle's writing is unlike any other. He chooses exactly the right words to draw the reader through his meandering, but never incoherent, sentences. His images are vivid, and his emotions are raw. This book is intimate. Doyle allows us to listen as he rages and praises a God he loves but does not completely understand. If you don't like Doyle's style, you probably won't be able to get past it. Just move on. Doyle is a Catholic, and a few of the prayers are very specifically Catholic. That said, the book intentionally casts a wide net; its dedication is to Doyle's sister, who is a Buddhist nun. And many of those prayers could be easily said about any church denomination. I'm guessing this book might strike some people as irreverent. A Book of Uncommon Prayer is a rare gift from an astonishingly truthful and original writer. This book will make you want to pray like Doyle does. You won't, of course, but you might end up praying more like yourself. Full disclosure: I received a review copy of this book from Ave Maria Press. I was not required to write a positive review. These are my honest opinions. Much of this article was originally published on News for Shoppers, where I wrote it. I now want to buy everything Rowan Williams has ever written. I won't, of course. Probably. But his incredible book on Mark has won a fan-girl in me. I took a year of New Testament theology while I was an undergrad for fun. I did a semester of seminary for pretty much the same reason. It's hard to write a Christian book that impresses me, but Williams did it. Meeting God in Mark: Reflections for the Season of Lent was originally a series of Holy Week talks Rowan Williams gave in 2010, when he was Archbishop of Canterbury. It is, he says in the introduction, mostly transcribed from recordings and unaltered. The book's 108 pages contain reflection and group discussion questions, as well as a Lenten reading schedule and Sunday reflections. It retails for $12 from Westminster John Knox Press. It's . Williams makes the case that the gospel of Mark is often overlooked or is considered a light, less sophisticated version of Matthew and Luke. He describes his purpose as "an attempt to help us read Mark slowly, to go back over the surface of simplicity of the text and tune in to some of the deeper themes — above all to listen to the various ways in which Mark is challenging us not simply to read but to expose ourselves to a new and transforming relationship with the figure at the heart of the story." Williams strikes a perfect balance between scholarship and relationship with the text. He gives fresh eyes to familiar scriptures and considers how Mark's first readers might have seen the book. He illuminates that just because the book was likely developed in community does not make it impersonal or simply a collection of folk tales. And at the end of the day, he explains how revolutionary (and I don't use that word lightly) the picture of God in Mark's gospel is. Williams is a wonderful writer. He never talks down, but he's always accessible and not the least bit stuffy. He is wise. He's careful without tiptoeing. You get the feeling he knows his subject deeply, cares about it, and wants to share it. If you are looking for a daily devotional rather than an exploration that includes biblical scholarship or analysis, you should skip this title. If your view of biblical inspiration is that biblical writers were taking dictation from God, you will be frustrated. The book delves into the process of how scholars believe Mark was written. I don't mean that to be sarcastic. I understand that some Christians do believe God literally inspired each and every word, exactly as it was written. Please don't give this book to them. They will get lost in the scholarship and lose the message. Williams challenges — gently — the notion of substitutionary atonement, the idea that Jesus died to pay a ransom to save people. This idea could be threatening to some Christians. For others of us, it is a welcome change. To believe that God is love and somehow demands death is a paradox it becomes harder to hold in my mind the older I get. Williams offers an alternative, one that is not some watered down easy theology, and not an idea that requires less faith. But it does ring truer. This is one of the best books on Jesus or the gospels I have ever read. It immediately made me want to go back and read the gospel of Mark — and all of the gospels, with fresh eyes. A word of warning, however: It also made me want to buy copies for several people (something I rarely, if ever, do) and to buy everything Rowan Williams has ever written. It could be hard on your wallet. Unless, of course, you're already an experimental particle physicist. Then you can just move on, I suppose. Most Wanted Particle: The Inside Story of the Hunt for the Higgs, the Heart of the Future of Physics is Jon Butterworth's account of working at the Large Hadron Collider. It's published by The Experiment and retails for $24.95. The book opens with a "tour of CERN." When Butterworth said, "You may imagine yourself in a nerdy little white van with a CERN logo on the side if this helps," I thought, "Yes. Yes, it does." And this is where I must confess: When I was really young, I wanted to be every kind of scientist there was. I also loved to write, and that eventually won out, but there's a part of me that still wants to make discoveries. I don't know why, but I'm especially drawn to particle physics and cosmology. Tiny things and giant ones. I don't know much, and this book confirmed that the daily life of a particle physicist isn't for me. But it's also fascinating. The book is part science, of course, but it's also memoir and a discussion of science's place in society and the importance of funding it. First off, Jon Butterworth is an excellent writer. He seems to know exactly when a non-scientist reader's brain is about to shut off, and he tells a story. An interesting one. He's funny and humble and makes you feel you'd like to have a pint at a pub with him. He also makes you feel he'd be happy to oblige. If you know a young person who wants to become a physicist, buy her this book. It is a tribute to collaboration, and it provides remarkable insight into the enormity of how experimental physicists work. Butterworth writes a column for the Guardian newspaper, so he knows how to target readers who are interested in physics, but are from other fields. He writes with candor about the politics that were facing the Large Hadron Collider and science funding in general, and he participated in various groups that presented their case to the public. He's also a great scientist. Peter Higgs himself calls the book "a vivid account of what the process of discovery was really like for an insider." Butterworth includes glossaries in nearly every chapter, includes footnotes that sometimes reference earlier chapters, and does everything possible to help the reader keep their muons, gluons, and leptons straight. This is not The Higgs Boson for Dummies. It's not intended to be. Butterworth assumes the reader is interested in the Large Hadron Collider and wants to know what happened on the inside. The science is complex. There are formulas and Greek letters. 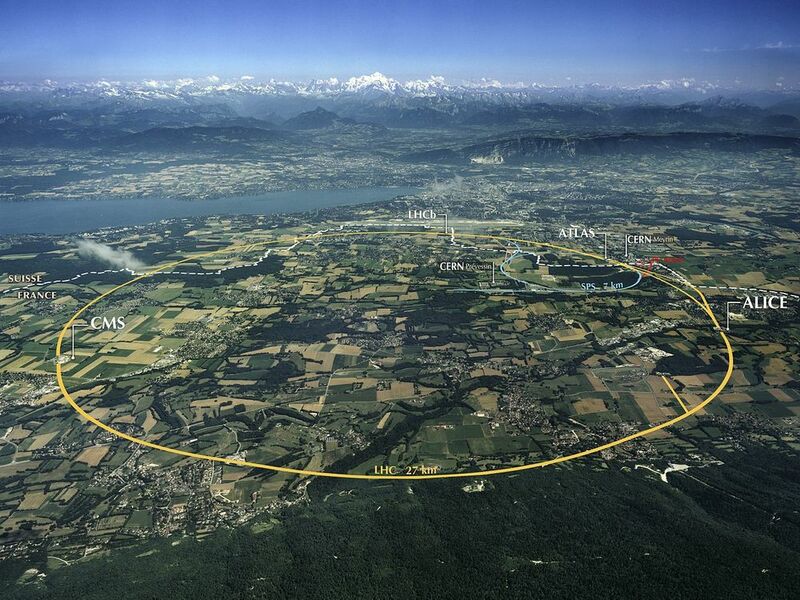 It's all defined, but you won't come away from the book ready to work at CERN. Butterworth is an experimental physicist. He was, in fact, skeptical that the Higgs boson existed. If you're looking for pure theory, you may be disappointed. That said, he does explain the theories — and the holes in the theories — that drove the research. Most Wanted Particle is a great read. It's not something you can pick up and digest on a Sunday afternoon, but that's a mark in its favor. There is enough science to make me feel smarter, and enough story to keep me engaged. If you want to know where particle physics has been lately and where the field is going next, I can't recommend the book highly enough. If you're intrigued but not sure, you might give it a look at the library first. Full disclosure: I read this book, made available by the publisher, for free via Netgalley. I was not required to write a positive review. These are my honest opinions. Much of this content was originally published on News for Shoppers, where I wrote it. You can read my full review of In God We Trust? at News for Shoppers. I was intrigued by Patrick Nachtigall's In God We Trust? A Challenge to American Evangelicals for a few reasons. Second, the topics that he discusses are largely why I left the evangelical church. Third, I majored in Intercultural Studies with a minor in Cross-Cultural Ministry. My whole education was around faith and culture. So much of what Nachtigall talks about — namely that the evangelical church worships the same three gods that American culture does — are why I left. But I haven't escaped those problems in mainline churches. They seem equally able to take the words of Jesus and fit them to American culture in ways that defy logic and honesty. Nachtigall explains why, though he's not writing to or about mainline churches. We all face the same problem: Few of us examine our own culture (or are even aware of it). This makes us susceptible to the same problems of mixing culture and Christianity that we accuse other cultures of without blinking. Thank you, Mr. Nachtigall, for this insightful critique. Please write another edition that will resonate more fully with other Christians, too. Please. Full disclosure: I read this book for free via Netgalley. I wasn't required to give a positive review. These are my honest opinions.